New research suggests that no two brains are alike, as genetics and experience make their mark on your mind. “With our study, we were able to confirm that the structure of people’s brains is very individual,” said study author Lutz Jancke. He is a professor of neuropsychology at the University of Zurich in Switzerland. 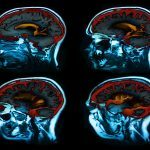 But this latest finding shows that “the combination of genetic and non-genetic influences clearly affects not only the functioning of the brain, but also its anatomy,” Jancke said in a university news release. As an example of how experience seems to affect the brain’s anatomy, Jancke pointed to how professional musicians, golfers or chess players had specific characteristics in regions of the brain they rely on for their special skills. However, short-term experiences also seemed to shape the brain. For example, if a person’s right arm was kept still for two weeks, there was a reduction in the thickness of the brain’s cortex in the areas responsible for controlling that arm, the researchers said. “We suspected that those experiences having an effect on the brain interact with the genetic make-up, so that over the course of years every person develops a completely individual brain anatomy,” Jancke explained.